The focus of the practice of Dr. Christopher Barley is on the prevention and early detection of disease, travel medicine, and the delivery of state-of-the-art, quality health care for chronic illnesses. Dr. Barley has been in the private practice of General Medicine since 1996. At that time, having completed his residency at New York Presbyterian Hospital, he joined the practice of Dr. Edith Langner, former chief resident of St. Luke’s-Roosevelt Hospital. Dr. Wendy Ziecheck, an internist also affiliated with New York Presbyterian Hospital, joined the practice in 2001. Dr. Barley was joined by one of the top spinal neurosurgeons in the world, Dr. Michael Lavyne. Shortly thereafter, Dr. Barley was joined by Dr. Costas Hanjis, who was highly recruited and sought-after because of his skill and high level of training at New York Presbyterian Hospital. A few years ago, Dr. Barley added Dr. Daniel Bowers, one of LA’s most sought-after HIV specialists and generalists. Dr. Barley’s central belief is that medical care, at the highest level, takes time with the upmost attention given to detail. To this end, he has joined the Independent Doctors of NY (IDNY), an organization whose members, some of New York’s most esteemed physicians, do not participate in managed care plans. Dr. Barley served as the organization’s vice president. Finally, Dr. Barley’s practice is perfectly prepared in the instance of serious illness where hospitalization or emergency care are required. In addition to his participation in coverage groups, which provide continual access to a team of highly qualified internists, he continues to maintain admitting privileges at New York Presbyterian Hospital, where he works closely with New York’s finest specialists. In the event of hospitalization, Dr. Barley oversees the work of the hospital house staff and specialists, providing the knowledge and continuity that results in the highest level of care possible. Also, whenever possible, Dr. Barley provides home visits, as well as ongoing home care for those chronically ill and unable to leave home. The office is located at 110 East 55th Street on the 9th Floor in the heart of Manhattan and conveniently located by most forms of public transportation. 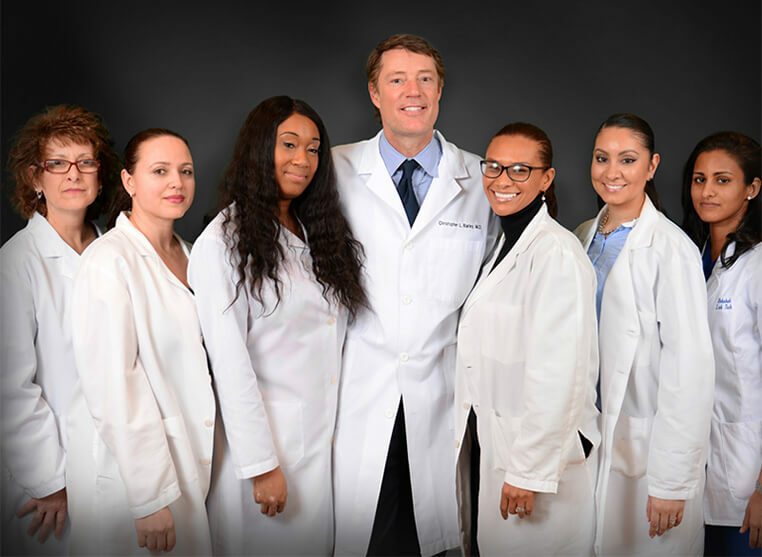 The waiting room is quiet and discreet, and the office is staffed by a highly trained medical staff, whose responsibility it is to ensure that patients are seen quickly and that their care is managed in an efficient and courteous manner.